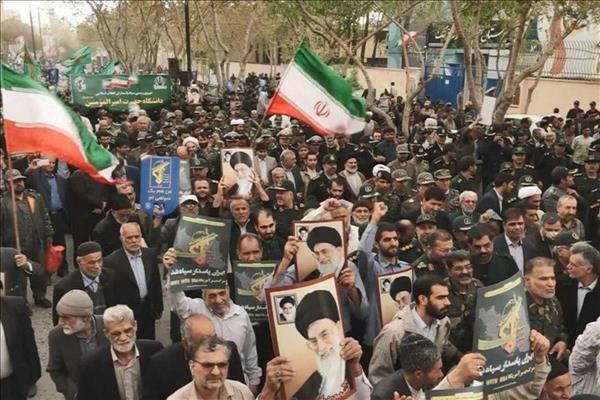 (MENAFN - Kashmir Observer) TEHRAN — Iranians have held nationwide rallies to express support for the Islamic Revolution Guards Corps (IRGC) following US blacklisting of the popular force. It also called for the further bolstering of Iran's armed forces and defense capabilities in the face of American 'government-sponsored terrorism' in the region. 'We call on the judicial, parliamentary and executive branches along with other authorities to adopt strict measures for an all-out resistance,' read part of the statement.